During a dinner part last evening, we tasted two Chardonnays. Maison Nicolas 2003 Reserve Vin De Pay D'oc and Domaine De Fussiacus 2004 Poilly-Fuisse. With all the buzz that has surrounded Scott Conant's restaurant there seems little to add. Dining on a Saturday night in New York in the Summer has advantages. Enjoying this extrodinary restaurant without the usual crowds was a real pleasure. Time for a Saketini ? Cocktails made with Sake are a great sipper on a hot summer evening. 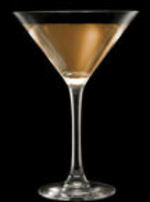 Popularly called a Saketini, following the Martini fad. Rarely do I find a wine worthy of a review of it's own. This Nuragus from Sardinia wins this honor. 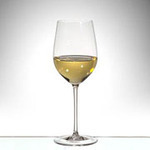 I am partial to wines of Sardinia, Vermentino and Carignano and others. But this one I found to be worthy of a special mention. We first dined at Passionne in July of 2006. We dined there again in the Fall of 2010 and found the restaurant excellent in every way. We are always looking to taste wines from other parts of the world beyond the traditional areas like Italy, France, California etc. New flavors and great values can be found. Many of these areas have been producing wine for centuries, but just now have ventured into exporting to the US. Here are some interesting wines we have tried lately. Dined at Nori, the new Japanese Restaurant in Montclair. Mixed feelings. The food was very good, decor strange, service irregular. Over all we had a very nice dinner. Met in New York for dinner with my brother in-law from California. My daughter and her guy were in town as well. We met at the Paramount Hotel and decided to venture to 9th Avenue to find a restaurant. With Zagat on the PDA in hand we decided to head north. Came across La Locanda and said this is it.